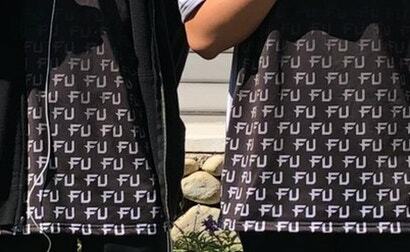 Back in May, Philadelphia Fusion’s Overwatch Contenders team, Fusion University, ran into some wardrobe difficulties when their team jersey — emblazoned with a giant, devil-may-care “FU” — got banned from the season one finals. 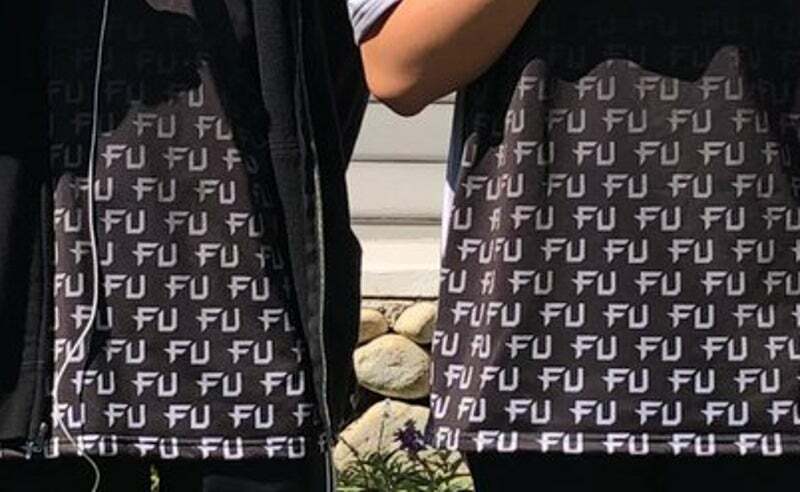 Now, though, they’re back with a new jersey that tells “FU” haters to F off. Yesterday, Fusion University played in the Contenders season two finals at the Blizzard Arena in Los Angeles. 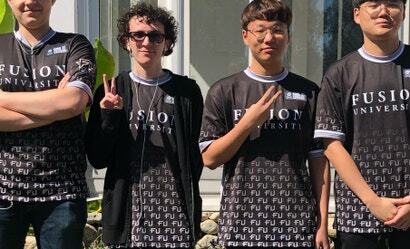 Prior to the big showdown with fellow university team XL2 (the scrappy little brother of OWL juggernaut NYXL), Fusion University revealed their snazzy new jerseys, as pictured above. Wait a minute. Do I see what I think I see? Enhance! Yep. 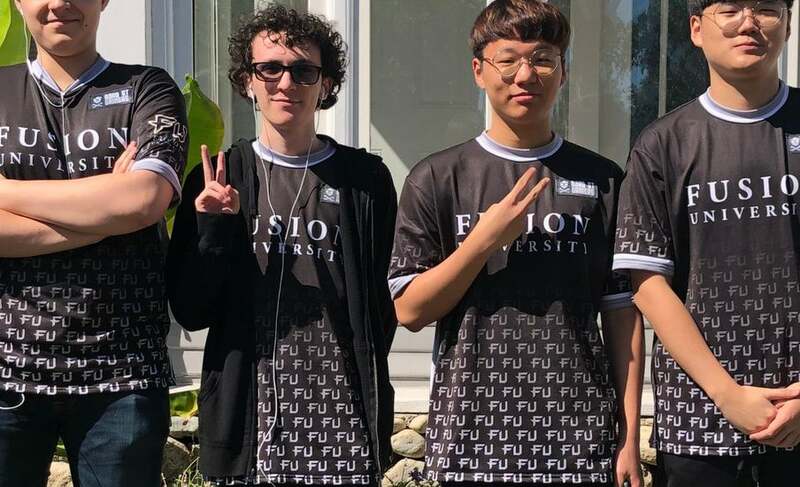 Since the colossal, Superman-style “FU” didn’t fly, Fusion University went with something more subtle this time: a veritable murder of itsy-bitsy baby “FUs.” They accompanied the jersey pic with an equally pun-tastic hashtag: #GoFU. I admire their dedication as well as their design sense. If only all fashion could be this passive-aggressive. Thanks to Dot Esports’ Nicole Carpenter for the spot! At the team or the furore? both, but mainly at the team. Seriously, there was a reason why they were told not to wear it, so what is worse promoting toxicity in gaming, doing the same thing to excess. I personally I dont think it is offensive (when they first did it) it was just juvenile and rather stupid. So instead understanding the reasons why they were asked not to do it, like all petty children, they just did this to annoy. On a slightly different topic, what is with dressing these teams in the leasure wear from the movie Idiocracy?? These players look awkward enough as it is. Aren't they just jerseys? 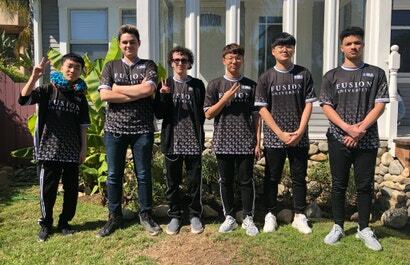 They are leaning into the e-sports thing I'm guessing.